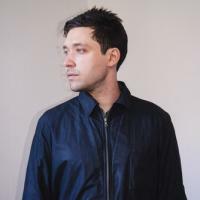 Tune in to Afternoon New Music at 3 pm on Tuesday, January 19th for an exclusive in-studio interview with composer Daniel Wohl. The show will feature a 45-minute interview with Wohl, as well as tracks from his upcoming new album Holographic. The world premiere performances of Holographic will take place at the Baryshnikov Arts Center on Thursday and Friday, January 21 and 22, 2016. Daniel Wohl is a Paris-born composer currently living in Los Angeles who creates music that has been described as “blurring the line between electronic and acoustic instrumentation and seemingly melting both elements into a greater organic whole.”​ He frequently collaborates with ensembles, artists, filmmakers and choreographers, bringing to life his vision for new music that connects the endless sonic possibilities of today's world with his classical compositional background. A groundbreaking new model, Holographic is both an album and series of live performances co-commissioned by BAC; Saint Paul Chamber Orchestra’s Liquid Music in St. Paul, MN; MASS MoCA in North Adams, MA; and the Indianapolis Museum of Art. The Baryshnikov Arts Center (BAC) will present the world premiere live performances of Holographic on Thursday and Friday, January 21 and 22, 2016 at 8pm at BAC’s Jerome Robbins Theater. At BAC, Holographic will be performed by Mantra Percussion and the Holographic String Quartet with Daniel Wohl on electronics. Synchronized audio-visuals by Los Angeles-based visual artist Daniel Schwarz will blend with Wohl’s rich electroacoustic creations to bring this spellbinding multimedia work to life. The album will be released on New Amsterdam Records on January 29, 2016.